Social networking giant Facebook has now rolled out its Watch video service globally making efforts to offer people around the world more ways to discover great videos and also interact with friends, creators and other users on its platform. 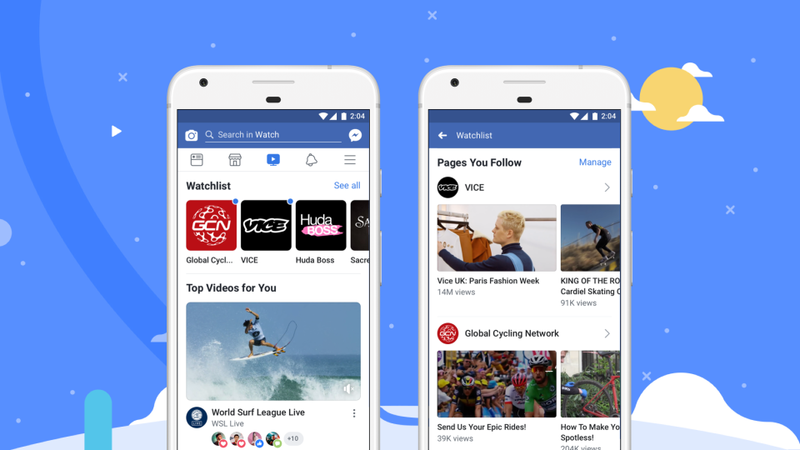 Watch was launched in the U.S. last year and has grown to a good number of users with Facebook reporting more than 50 million people watching videos for at least a minute on its platform since the start of this year as it also works making its video experience more social through the addition of new features. Several notable shows available on the Watch platform include Red Table Talk with Jada Pinkett Smith, beauty entrepreneur Huda Kattan’s behind-the-scenes show Huda Boss, along with live Major League Baseball games for users to enjoy. Watch offers a platform to discover new videos, catch up with creators and publishers people follow, a home for saved videos and also live videos people can participate in providing social and interactive experiences to everyone. This service is set to be rolled out to 21 countries next month as Facebook aims to tap new markets and expand its base from its mainstream social networking and messaging products.